Does it Fit in the Budget? Meet Janet. She's got a very specific budget that she's trying to stick to. 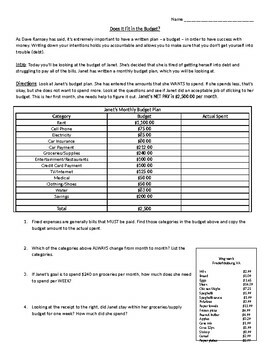 Students are asked to determine which of Janet's budget categories are fixed - those must stay the same. 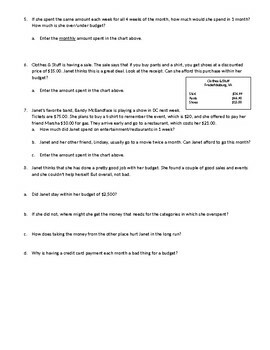 Then, students follow Janet's actions throughout the month to determine if Janet stayed within her budget.